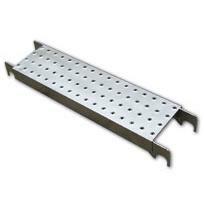 “I” beam side rails make the deck stiff and reduce deflection. Marine boards offer skid-resistance, and longer lifetime. Wind locks on side rail to protect from being damaged. No joints on board for 10’ deck. 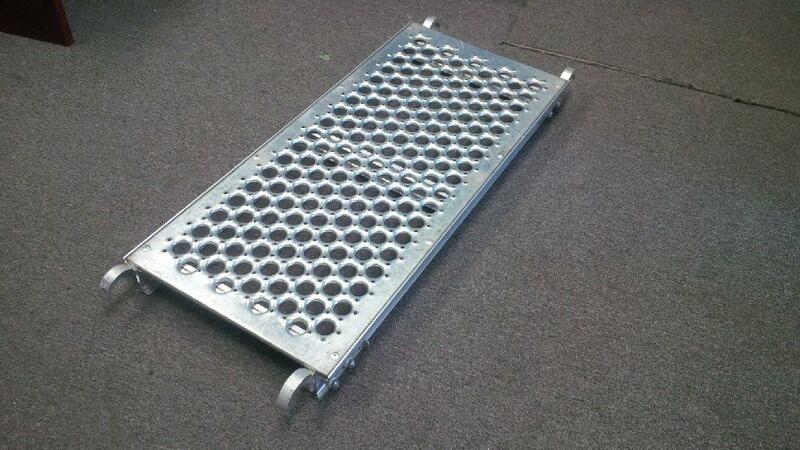 Our Aluminum decks with trap door and ladder allow operators to climb from one level to the next easily and safely. The ladder is secured by a spring lock underneath for easy access and transportation. 10’ x 28 ” for 6’6” or 6’8” walk-thru frames. 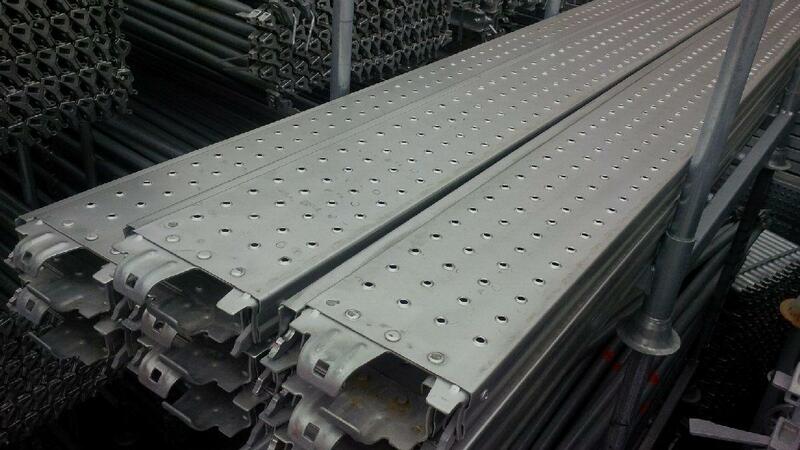 We produce both safway and Aluma types of steel planks. Both are rolled to form. 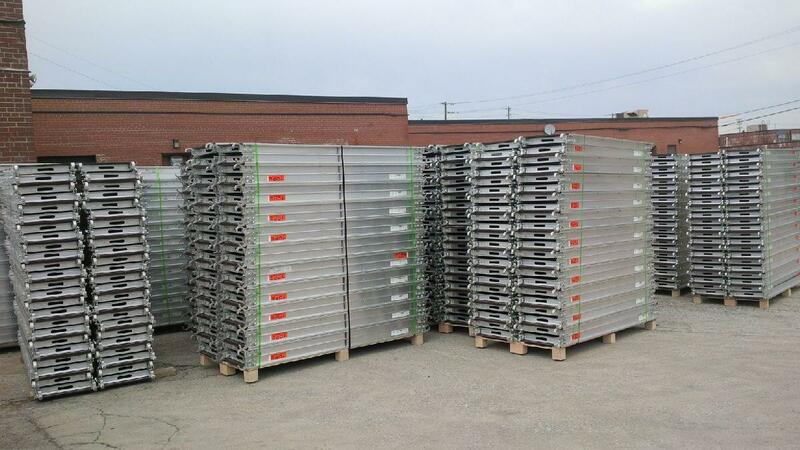 And all are hot dip galvanized. Size and weight. Other sizes are available upon request.